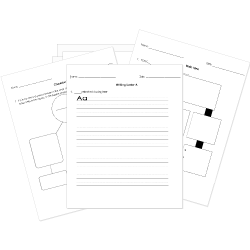 You can create printable tests and worksheets from these Grade 2 Apostrophes questions! Select one or more questions using the checkboxes above each question. Then click the add selected questions to a test button before moving to another page. It will be new year's eve soon. Alisons dog can do tricks. Alison's dog can do tricks. Alisons' dog can do tricks. The sentence below has which type of word with an apostrophe? Did you know George's hat is blue? Which of the following sentences uses apostrophes correctly? The tires on Brians' bicycle are flat. The tires on Brian' bicycle are flat. The tires' on Brians bicycle are flat. The tires on Brian's bicycle are flat. The tires on Jeffs' car are flat. The tires on Jeff' car are flat. The tires' on Jeffs car are flat. The tires on Jeff's car are flat.